learned throughout the planning process thus far. I stated in my Engagement Photoshoot Preparation post that I wanted to create content tailored to wedding planning and I have stuck to my word! Take a look below at the video I created (Best viewed in 780 & 1080p!) that begins my Bridal Bliss wedding series. I plan on uploading vlogs, Q&A’s, and details on my nuptials. Hope you all enjoy! 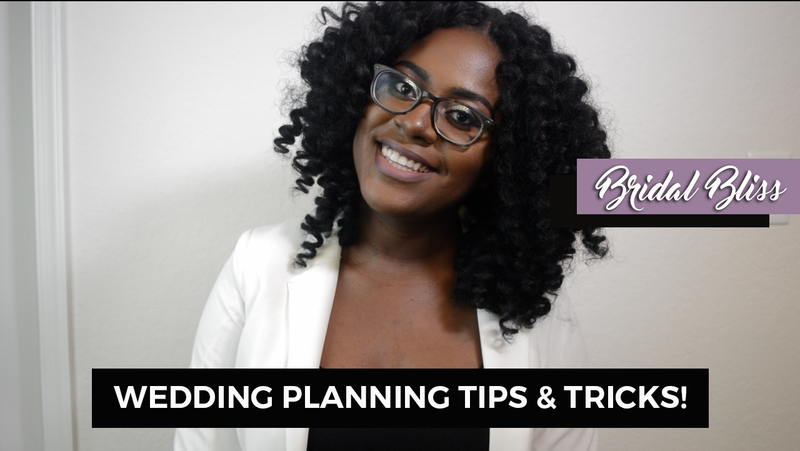 Thanks for sharing these wedding planning tips and tricks!! I am planning my friend’s wedding and she want a themed wedding. These ideas will gonna help me lot. Will book DC wedding venues from online at cheap prices as getting discounts.